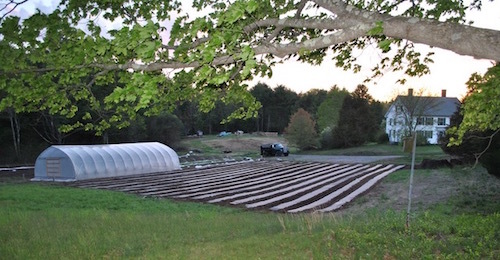 Thanks to many of you whose generous donations furthered this effort, Greenbelt completed the 28.8-acre Mehaffey Farm conservation project at the end of June. 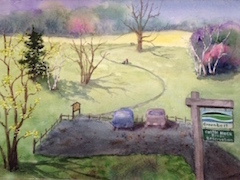 This marked the successful completion of a 3+ year effort to preserve this historic Rowley farm. 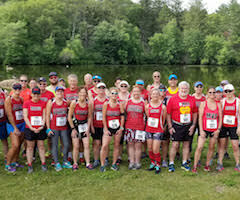 Greenbelt was thrilled to host the 11th annual "Run for the Hills" trail race on July 14th in Hamilton, part of the North Shore Endurance Trail Series. Special thanks to the Merrimack Valley Striders who had a very strong showing for the race! 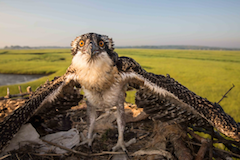 Greenbelt's Dave Rimmer has been busy banding Osprey chicks in Rowley, Ipswich & Essex with help from staff and volunteers. To date, 17 chicks have been banded. Banding data is compiled by the US Fish and Wildlife Service and used to better understand survival rates and movements. Join us for a property walk to learn more about the proposed Castle Neck River Reservation in Ipswich followed by a social at True North Ales on Tuesday, August 14 at 6pm. Ready to ride in the 2018 Tour de Greenbelt? 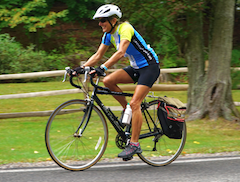 Registration is now open for the 25-mile, 50-mile, and the new 37-mile gravel grinder course.